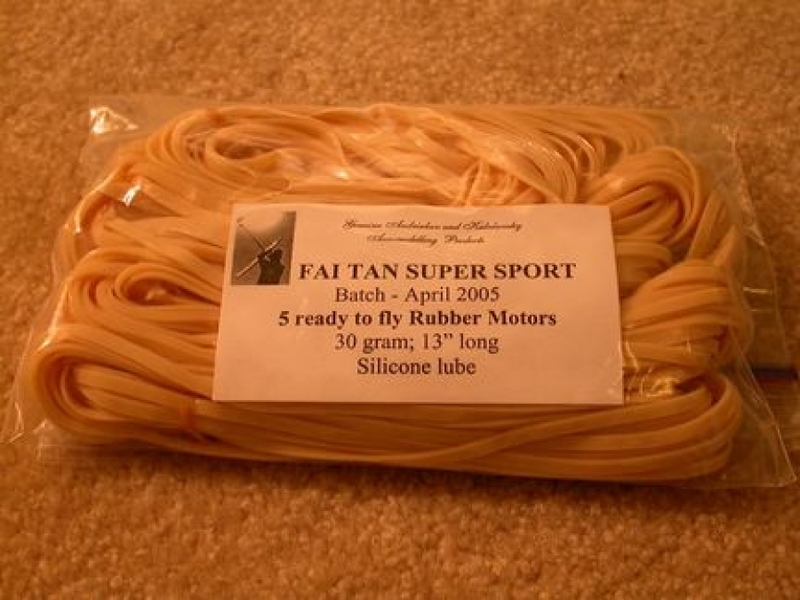 Ready to fly Rubber Motors. Lubed and Tied. Five in a bag. 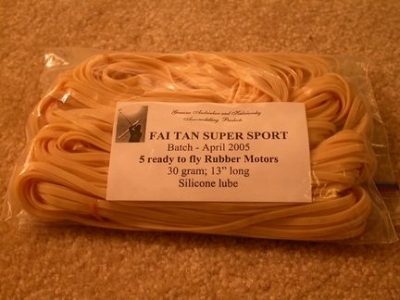 FAI TAN SUPER SPORT. Batch clearly marked. 30 gram. We aim for 33 cm, but the motors can be longer or shorter. We pack them separately. 32 cm (12.6"), 33cm (13") and 34cm (13.4") long. Silicone lube.